I love that both couples are loving, but there is a vast difference in their expressions, with Han and Leia deliriously happy while Anakin and Padmé are very somber. Thanks, Fernwithy. 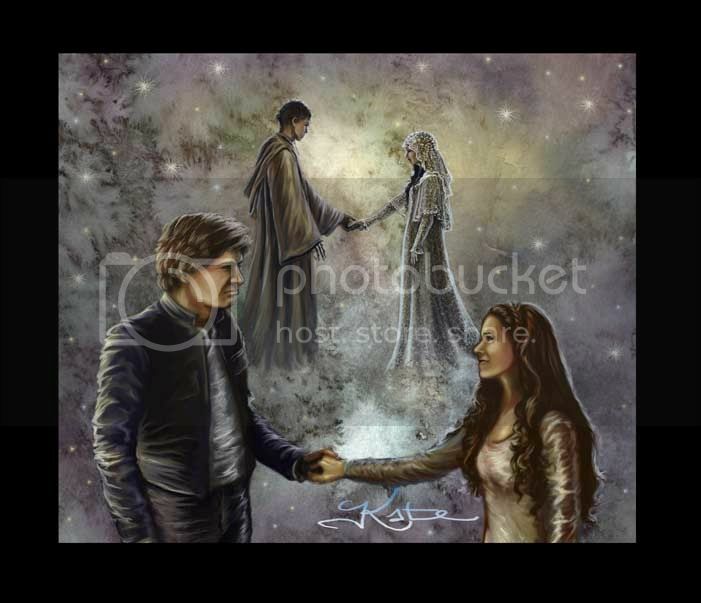 What I found interesting while I was doing it was how much like teens Anakin and Padme looked (you can't see their faces at this size) compared to Han and Leia. Even something as simple as the way each couple is holding hands. (which came from the reference pics I used) Anakin and Padme seem unsure and tentative; maybe coy? Whereas Han and Leia have a very firm grip on each other.